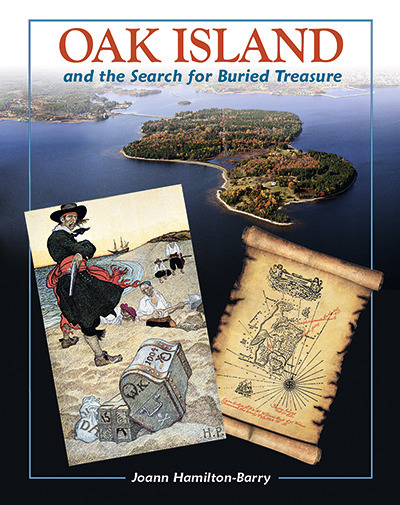 Pirates, explorers, writers, play-writes, adventurers, politicians and more—Oak Island and the Search for Buried Treasure has it all for the reader who has dreamed of unearthing that chest filled with pirate gold and Spanish doubloons! This non-fiction text recounts the history of the discovery in 1795 by three boyhood friends of the famous “money pit” off the coast of Nova Scotia. Using pictures, maps, diagrams and photographs on quality high gloss paper, the mystery of the hidden treasure emerges from the myths and legends of history. The research behind this book is thorough, providing an outline of events from the earliest inhabitants of the island prior to the discovery in the 18th century, through to the latest excavations on the island in a current reality TV show on the History channel. The large bold print is enhanced with colour graphic inserts which draw the reader deeper into the minutiae of events. Each chapter is colour coded to indicate its focus whether it be on “pirate gold,” “adventurers,” or “treasure theories.” The last ten pages offer the readers further opportunity for a deeper understanding of the themes in the book. Included are a glossary of terms, a fiction and non-fiction recommended reading list in addition to websites to explore, and an index to direct the reader to places of special interest in the text. Classroom Connections: This book is a great starting point to inspire young researchers to delve into history. In an age when we are discovering new stars, and heroes are being created through space exploration, Oak Island and the Search for Buried Treasure allows the reader to discover the unique traits of the men and women who dared to go beyond the limits of their own worlds to explore the world in ages of conflict and exploration. This book is a fantastic read! In years to come will one of your students be the hero who finally solves the greatest mystery of Nova Scotia?